Chipotle Reading Rewards: Rewarding the Little Readers in Your Life! February 16, 2019 Abby H.
Disclosure: I received a free meal for four as compensation for writing this post, but honestly, reading/literacy is super important to me and the fam…. Chipotle is passionate about more than just perfectly rolled burritos, it is also committed to cultivating nourished minds and communities, and one of the best ways to do that is through Chipotle Reading Rewards – the annual program that rewards book smarts with delicious food crafted from real, whole ingredients. Now through Feb. 28, Chipotle is accepting educators’ and librarians’ applications for its Reading Rewards program, which can be added to an existing reading program, or Chipotle can provide schools with turnkey resources to kickstart their own. The program is designed to help students develop a love of reading by rewarding them with free Chipotle when they reach their reading goals. One of the reasons I love Chipotle as a family dining choice is there is someone for everyone, even the big kid, who is super picky (he has texture/sensory issues as part of his ASD). Chipotle is committed to making real food from wholesome ingredients without any added colors, flavors or additives. Chipotle has always prepared and used real ingredients that everyone can both recognize and pronounce. The big kid likes that his food is made in front of him and he is in control of what gets added (no meat- he is a recently self declared vegetarian). I like that there are a lot of good options- freshly chopped veggies, salsas and guac made in the restaurant. Chipotle’s craveable food is freshly prepared by hand each day using classical cooking techniques in its 2,500 restaurants. Chipotle is committed to making its food more accessible to everyone. Ordering through the Chipotle app or website is easier than ever before, and now you can get your food faster with delivery from DoorDash. To learn more about the Chipotle Reading Rewards Program, click here. Check out the Holiday Fun at Legoland! December 23, 2017 December 23, 2017 Abby H.
Silly Faces at the end of the day! If you haven’t been to Legoland to check out the holiday festivities, there is still time! The kids and I went yesterday (Daddy is sick, he stayed home and rested), and we had a blast! Legoland California is open Christmas Eve and Christmas Day, so if you are looking for something fun and unique, head on over! And if you are looking for a way to ring in the New Year, the Kids’ New Year’s Eve party. This celebration begins with special musical performances on Fun Town Stage and Heartlake City. Then, the party moves to San Francisco in Miniland U.S.A. where, like the famous Times Square party, Kids’ New Year’s Eve features a countdown followed by a huge LEGO brick dropping 22 feet into 2018 and spectacular fireworks at 6 p.m. to end the night. The entire park is decked out for the holidays. We loved all the touches to Miniland, including the tree in front of Capital Building, along with the carolers. And here is an Insider Tip: The Pizza and Pasta Buffet offers Kids Eat Free after 4:30pm (1 free kid per paid adult, and kids under 3 eat free) most days. Henry loves Pizza, and after a busy day of running, playing, and building, he and Margaret were both ready to chow down on some pizza and mac n’ cheese. Also- Don’t forget to try Granny’s Apple Fries! They are to die for! Summer Fun with Kids at Oggi’s Liberty Station! July 8, 2015 Abby H.
Got littles? Trying a fun way to keep them entertained this summer without breaking the banks? 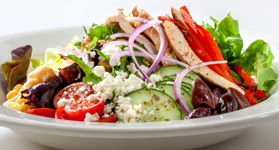 Check out these awesome deals from Oggi’s in Liberty Station. 1: Kids eat free all day Wednesday with the purchase of any adult entree. 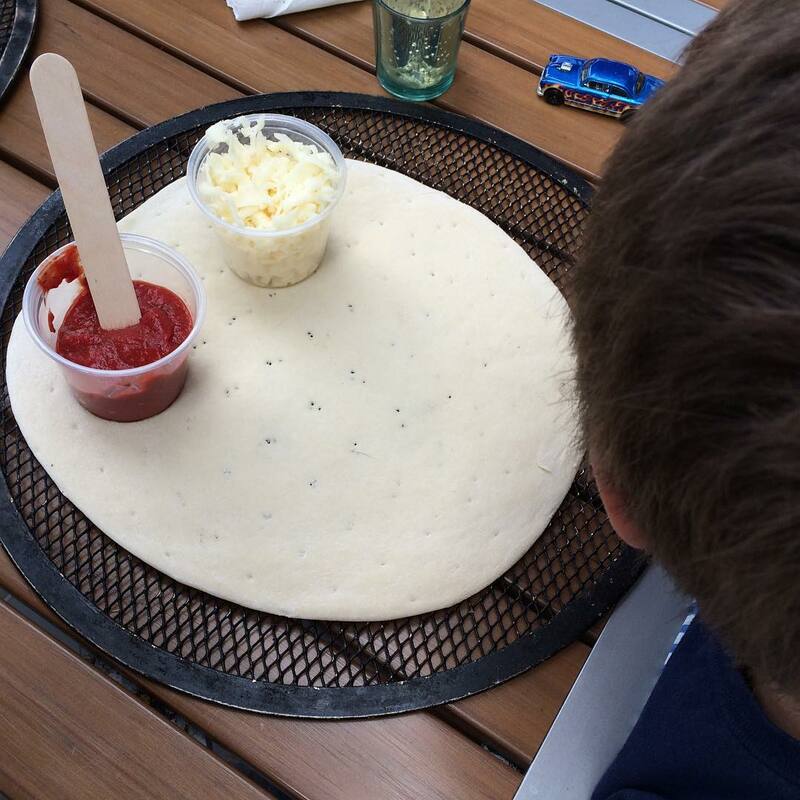 2: Kids can make their own personal pizza starting at 11:00am. That’s what we did today, and Lil’ Man had a blast. I wish I had gotten photos of the pizza once it was baked, however, he inhaled it. The pizza dough is rolled out in the kitchen and brought out with sauce and cheese for the kids to add as much as they want. Then there is a table of toppings for the kids to choose from (By the time I got over there to take photos, most of the little bowls were empty because all of the kids were having a blast topping their pizzas!). Lil’ Man is a strictly cheese only pizza guy, so we just asked for a little extra cheese. 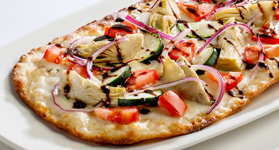 Brushed with garlic olive oil, topped with Mozzarella, zucchini, tomato, red onion, artichoke hearts, roasted garlic and drizzled with sweet balsamic glaze. 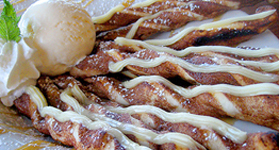 Twisted sticks of pizza dough baked to perfection and dusted with cinnamon and powdered sugar, topped with icing and a scoop of vanilla ice cream. The Icing isn’t overly sweet either- it reminded me of marscapone cheese! Lil’ Man devoured these too. For more details on the awesome, kid firendly offers going on at Oggi’s in Liberty Station, visit their website. The balloon animal guy that comes from 5-8pm on Wednesdays is the best! His name is Tyler and he runs Pretend Inc. Check out his site for just a few photos of his amazing work. He made dinosaurs, puppies, silly snakes, and even a dodo bird for Lil’ Man! A big thanks to Oggi’s at Liberty Station for hosting us for lunch today!